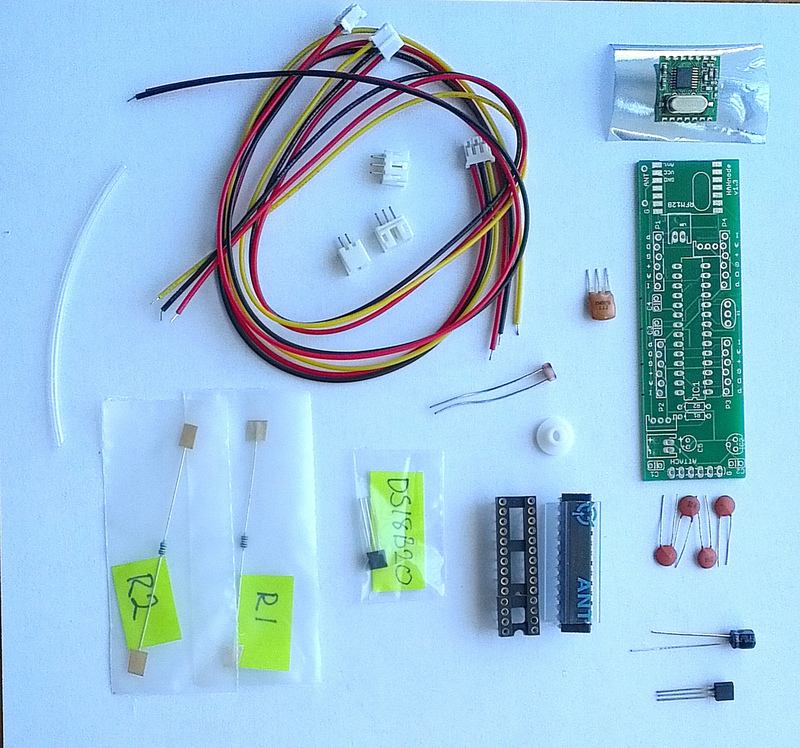 A kit of parts which adds a wireless temperature sensor and light level sensor. If wired into an Airwick enclosure this also adds motion detection. Needs battery power at 4.5VDC. Again, the Airwick housing has provision for 3xAA cells, so is ideal. This is a kit. Soldering is required. Note that your HAH will require a baseNode in order to receive the signals from your roomNode(s). A full partslist and assembly notes.